In a Rut with a Glut? During my lunch break the other day, I nipped around the corner to the newly revamped Foyles bookshop on Charing Cross Road to have a gander at their cookery books. What an Aladdin’s cave! Their food section is enormous. I came across this little gem which I ended up buying as it seemed such a useful book to have. 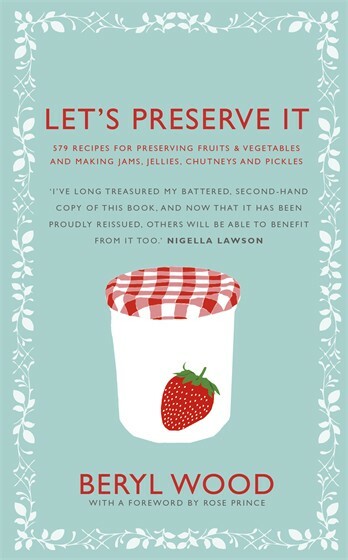 First published in 1970, Beryl Wood’s Let’s Preserve It contains nearly six hundred recipes for preserving fruits and vegetables and has been a bible to thousands of cooks ever since, including Nigella Lawson. 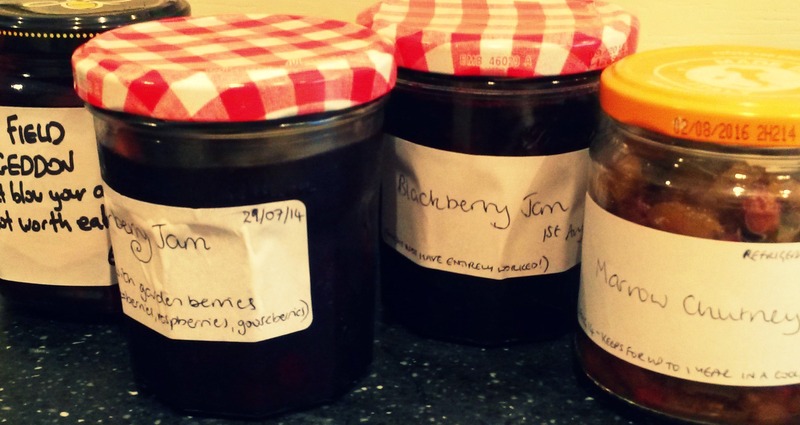 With all the surplus veg we’ve got growing at the moment, preserving is definitely the answer. I considered the book an investment; armed with this little compendium, I need never find myself in a rut with a glut again. Despite having some very successful attempts at jams, chutneys and pickles, I’m still smarting from The Pickled Cucumber Catastrophe of 2013. It was an ill-judged episode, in which I recklessly decided to slice the excess cucumbers we had growing in the back garden and steep them in the leftover liquor we had from pickling the beetroot. We waited a month or two. The results were… unimaginable. It tasted like radioactive frog spawn. Pickled. My offers would usually be met with a terrified silence. Ade was never too vocal about it as he didn’t want to hurt my feelings. Although on one occasion, he was afflicted by a sudden and rather violent facial tic at the sight of the jar of pickled cucumber which I’d surreptitiously placed on the dining table, flanked by the pepper mill and a jar of Branston’s in an effort to make it look more appealing. My pickled cucumber was finally thrown away two weeks ago as Ade needed the jar for his beetroot. We have a glut of cucumbers in the back garden again this year, so I’m hoping that maybe with the help of Beryl I might be able to turn them into something a little more palatable. And maybe I’ll salvage my pickling reputation while I’m at it. I loved this – a true delight. Certainly made me chuckle. Hooray! Someone else who has things lurking in the cupboard that you’re afraid to wat yet reluctant to throw away. Maybe it’s preserve-a-phobia! Brilliant and honest. We have a rumtopf full of pears and brandy. Last time I checked they were as potent as you can imagine but as hard as hell. Yup, being unable to throw anything away is the flip side of being thrifty! I’m still pondering whether we should have thrown it; we might have been able to use it as a slug repellent on the plot or something!! Now I hasn’t thought of that! Now you’ve got me. The book is a cracker though, highly recommend it – so many great recipes.